You can subscribe to Shore Leave on any of these services! Hosts Marina and Jesse are joined by convention-going friends and family to discuss a wide range of topics. 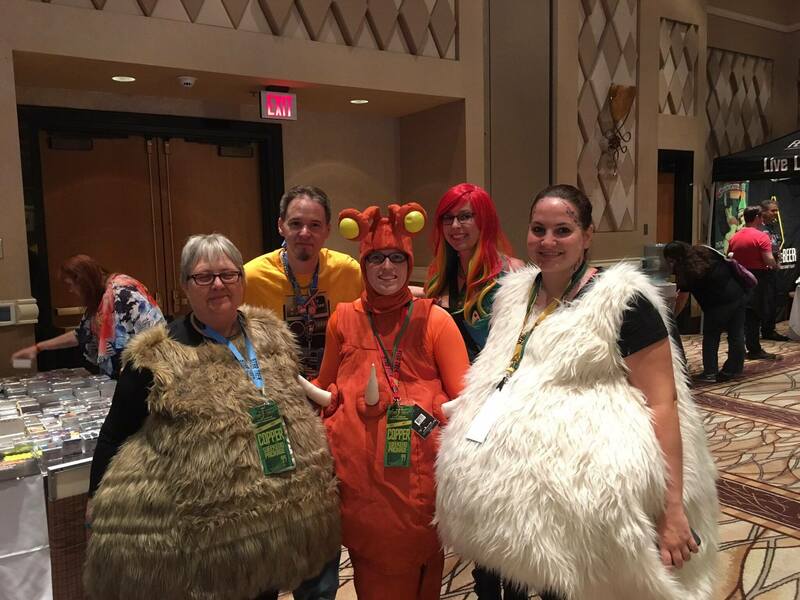 Born out of a mutual love for the Star Trek Las Vegas Convention, the podcast has grown to cover cons and fan gatherings everywhere. Listen along as they cover convention news, memories, con-going advice, cosplay tips and more! Hosts Marina and Jesse are joined by the returning Shore Leave guest Michael Nguyen to talk about the Big Apple Comic Con, the longest-running comic book/pop culture convention in New York City. Shore Leave returns with a recap of January&apos;s Star Trek: The Cruise III. Marina and Jesse are joined by a new guest and a fellow STLV vet, Sherri Kidner, to talk about the ins and outs of Star Trek cruising, the excitement of onboard life and the expectations of the next year&apos;s Cruise VI. Join hosts Jesse and Marina as they discuss the experiences during their first trip to Destination Star Trek convention in Birmingham, UK! Hosts Marina and Jesse are joined by newcomer to the show Scott Hardy in their inaugural episode of Shore Leave to discuss all things Destination Star Trek Birmingham! Tune in as we talk about the venue, the tickets, the guests, the convention events and more, as we prepare for our first transatlantic convention adventure! 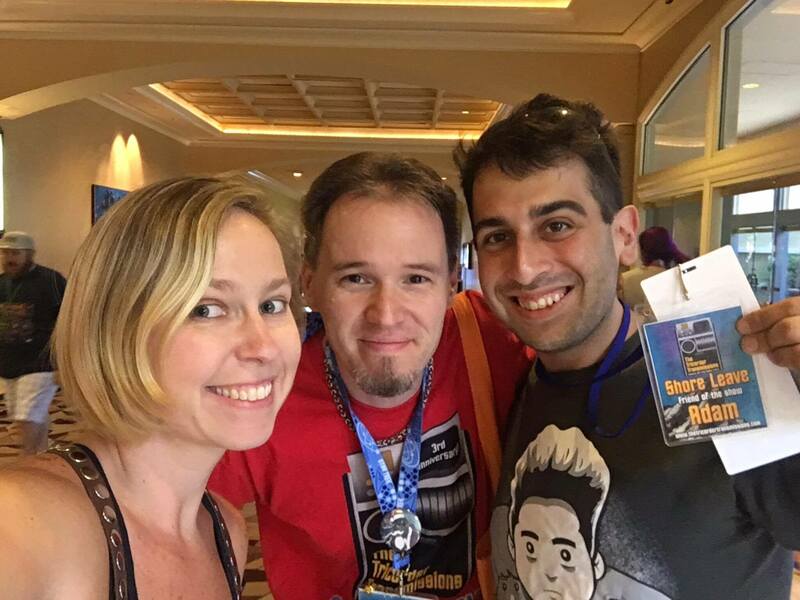 Hosts Heather and Jeff are joined by Marina Kravchuk and Jesse Oquendo to reflect on the 2018 Star Trek Las Vegas convention! Stay tuned to the very end for a big Tricorder Transmissions announcement! Hosts Heather and Jeff are joined by Mikki Gunter of Make It Sew for the third and final installment of our 2018 Vendor Room Spectacular! We talk about the new merchandise Mikki will have available at her table, STLV events and lots more! Shore Leave #45: 2018 STLV Pump You Up! Hosts Heather and Jeff are joined by fellow Unofficial Star Trek Las Vegas Group on Facebook, Marina Kravchuk and Jesse Oquendo to talk tickets remaining, official and unofficial events, con-going advice and lots more! 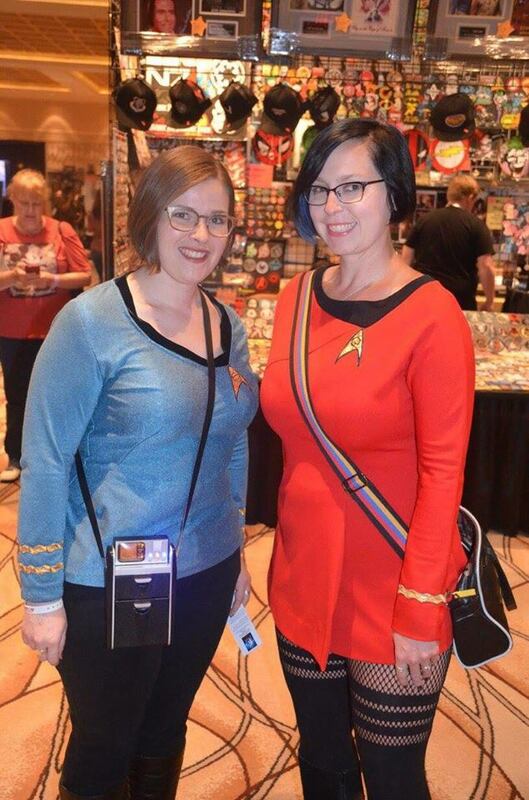 On the second part of our 2018 STLV vendor room coverage, hosts Heather and Jeff are joined by Lew Halboth from FanSets to talk new pins, STLV exclusives, the upcoming FanGeeks party and lots more! Hosts Heather and Jeff are joined by amazing artist Laz Marquez for the first part of our 2018 Vendor Room Spectacular! We discuss Laz's incredible Star Trek Discovery episode posters, what he will have available at his table, what he's looking forward to at his first STLV, and lots more! Hosts Heather and Jeff are joined by PoliTreks host Barry DeFord and friend of the network Jamie McGregor to talk about returning to STLV for a second time! 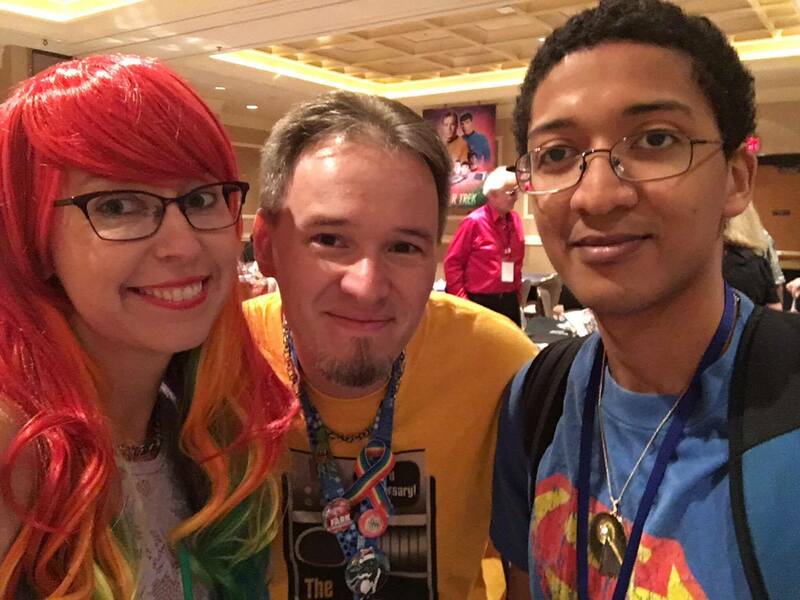 Hosts Heather and Jeff are joined by Tyler Habiger and Madison Spencer to talk about the convention friendships forged at STLV and beyond! Hosts Heather and Jeff are joined by ReadingTrek hosts William and Marty to discuss their recent trip to the 2018 WonderCon! Shore Leave hosts Heather and Jeff are joined by Kelli Fitzpatrick and Thad Hait to discuss the 2018 Far Point Convention. Hosts Jeff and Heather chat 2018 STLV news and the newcomer experience with guests Rodney Jones and Carl Wonders! Hosts Heather and Jeff are joined by Barry DeFord and Shashank Avaaru from the PoliTreks podcast for look back on all the things they were grateful for in 2017, what they' looking forward to 2018, and to spread holiday cheer to our listeners and supporters! Hosts Heather and Jeff are joined by Ken Reilly from TrekCore, and Elijah from the Priority One Podcast to talk about fall 2017 Star Trek events in NYC! Hosts Heather and Jeff are joined by Tristan, and Kenna from the Priority One Podcast to talk about social media harassment in fan spaces. Hosts Heather and Jeff are joined by friend of the show Thad Hait and Elijah from the Priority One Podcast to talk about the 2017 Continuing Mission Convention in New Jersey. On the 33rd episode of Shore Leave, hosts Jeff and Heather are joined by Five Year Mission drummer Andy Fark and fellow Unofficial Star Trek Las Vegas Convention Group admin Jesse Oquendo to talk about their experiences at the 2017 Continuing Mission Convention in Chicago. Heather and Jeff cover Trekonderoga 2017, the Shore Leave + FanSets "Pick The Pin" contest, and make a BIG announcement you won&apos;t want to miss! Hosts Heather and Jeff are joined by Sue K from Women At Warp and Gary Mitchel of RevCast to chat about everything a beginner would need to know to attend DragonCon in Atlanta, Georgia! Heather and Jeff drop a surprise mid-week Shore Leave picking up where episode 29 left off with questions/comments from The Unofficial Star Trek Las Vegas Convention Facebook Group and interviews from the convention floor! 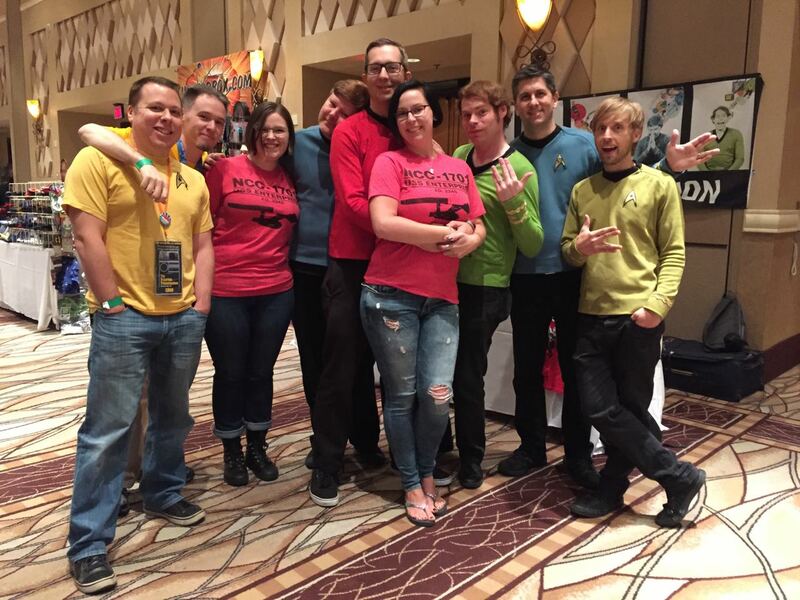 Hosts Jeff and Heather chat with Gold Key Comics host Ian Adams and friends of the show Claire Little and Adam Drosin about their experiences at the 2017 Star Trek Las Vegas Convention. Hosts Jeff and Heather are joined by fellow Tricorder hosts and show regulars for their final Shore Leave before the 2017 Las Vegas convention to discuss Star Trek Discovery news, convention etiquette, and what we are all looking forward to in a week&apos;s time! Jeff and Heather are joined by Lew Halboth from FanSets to chat about new pins for STLV 2017 and Larry Nemecek stops by to give an update on his plans for the upcoming convention and lots more! 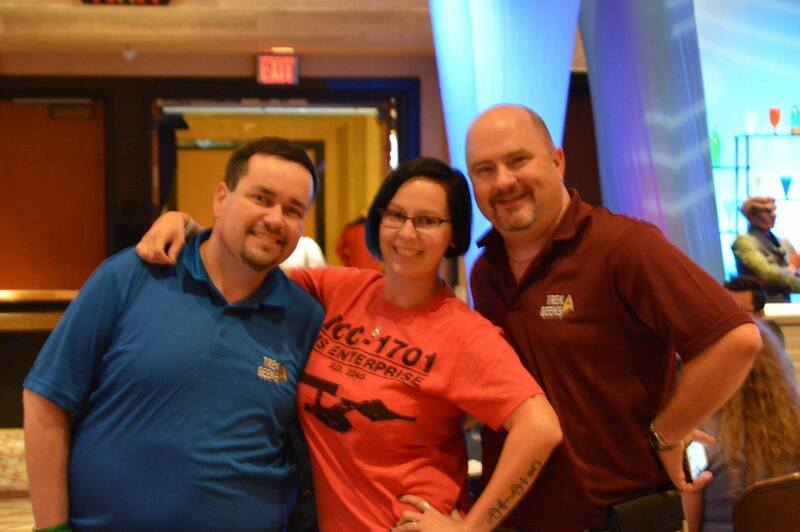 Hosts Heather and Jeff are joined by Dani Schwartz of ShopLLAP to chat about her table at STLV. Julie Nimoy and David Knight stop by the show to tell us all about the screening of the new "Remembering Leonard Nimoy" on Wednesday August 2nd at STLV, and Mikki Gunter of "Make It Sew" fills us all in on the new handmade Trek items she&apos;ll have on her table in the vendor room! Jeff and Heather are joined by Matt Hansen and Zach Nichols to discuss managing anxiety disorders while attending large conventions. Each host and guest shares personal insights and advice from their own experiences and thoughts on how others can overcome their own struggles with anxiety. Jeff and Heather are joined once again by Marina and Jesse for the final installment of Shore Leave&apos;s STLV 101 series. In this hour, they discuss a range of convention topics including stress management, staying healthy at the convention, accessibility and lots more! Shore Leave returns this week with part two of our STLV 101 coverage with Heather, Jeff, Marina and Jesse taking a look at convention hours, schedules and events, autographs, photo ops, meet and greets, cosplay, props and weapons policies and much, much more! Everything you wanted to know about attending the Star Trek Las Vegas Convention on Shore Leave&apos;s STLV 101 episode! Shore Leave 21 has arrived with an extended chat session with returning guest, Larry Nemecek! Tune in to hear all about Larry&apos;s upcoming GeekNation tour in Vegas, his Portal 47 project, the Con of Wrath documentary and LOTS more! Heather and Jeff celebrate episode 200 of The Tricorder Transmissions, talk STLV news and talk cons of the past with special guest Bonnie Moss. This week on Shore Leave, Dani Schwartz stops by the show to talk about Shop LLAP's return to STLV in 2017 and to answer listener questions about her grandfather, Leonard Nimoy. Hosts Heather and Jeff chat with Dani about our mutual love for our grandfathers, how Dani's relationship with Leonard evolved from her childhood years through adulthood, vacations and holidays with the family, Dani's thoughts on Star Trek and Spock, and of course, some of her favorite memories of her grandfather. Jeff and Heather are joined by friend of the show Jesse Oquendo to chat about the first anniversary of Shore Leave, STLV news, the recent ticket price hike, and Star Trek : The Cruise! Jesse tells us all about his time on the ship, the celebs, events, ports of call, Trek themed food & drinks, and lots more! In our first episode of the new year, Jeff and Heather assemble a crew of fellow Tricorder Transmissions hosts and STLV friends to chat about the Trek stuff we are most looking forward to in 2017! Join Claire Little, Ian Adams, Laura Harris and Jim Moorhouse as we talk Star Trek Discovery, STLV2017, the 30th Anniversary of TNG, and lots more! Heather and Jeff are joined by our roaming convention reporter Marina Kravchuk and newcomer to the show Frankie Engelbert to talk about the brand new Northeast Trek Con convention! Listen in as we cover all the panels, celebs, vendors and cosplay info plus lots more! On the fifteenth episode of Shore Leave, hosts Heather and Jeff divert from their usual course to check out the goings-on at the recent New York Comic Con. Stopping by the studio to report in on all things Trek at NYCC, Star Trek Away Team meetups and lots more are newcomer to the show Michael Nguyen and returning guest Marina Kravchuk! 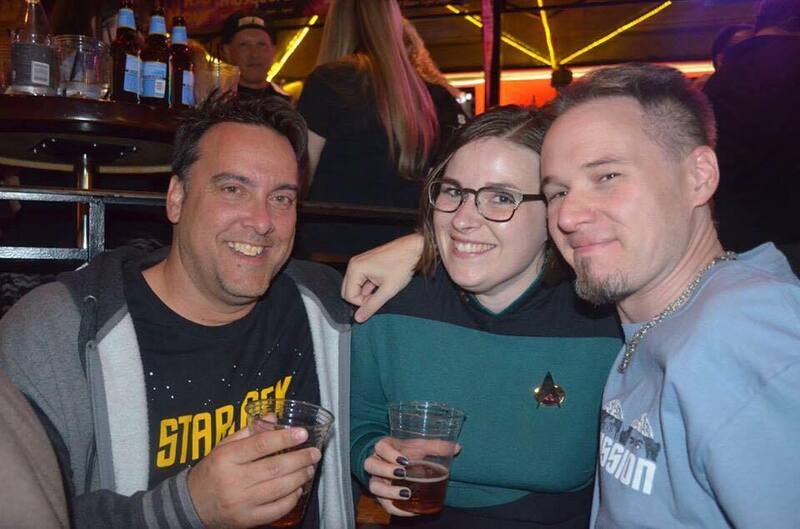 Jeff and Heather are joined by well-travelled convention goer and good friend Marina Kravchuk to see how other Trek cons she has been to compare to STLV! Later, Jeff and Heather reflect on their participation in the live-tweet event for the new Leonard Nimoy documentary. Hosts Heather and Jeff sit down with two very special returning guests to look back on the 2016 Las Vegas convention on this 13th episode of Shore Leave. First up, the wonderful Dani Schwartz of ShopLLAP stops by to reminisce about arriving the con, her booth in the vendor room, stories about her grandfather from fans she met, and plans for the future of the shop! Later, our good friend Jim Moorhouse joins in to reflect on his experiences at the con, look back at his panel on the Roddenberry stage, and chat about the Mission NY convention. Four Tricorder Transmissions hosts converge for the first part of our 2016 Star Trek Las Vegas convention wrap-up here on Shore Leave! Join Heather Barker and Jeff Hulit as they chat with Atavachron co-host Claire Little and our brand new Gold Key Comics co-chair, Ian Adams about all things STLV50! On this final episode before STLV 2016, they are joined by Andy Fark of Five Year Mission and Claire Little, co-host of our Atavachron series to answer listener questions! Heather and Jeff beam in with the third part of the Shore Leave Star Trek Las Vegas 2016 Vendor Room Spectacular. On this episode, Dani Schwartz of ShopLLAP stops by to chat about the history of the store, designing merchandise with her grandfather, the special items she will have available at the convention, future plans for ShopLLAP and more! Jeff and Heather host the second part of the Shore Leave STLV50 Vendor Room Spectacular featuring Five Year Mission, STOked Radio, and Bye Bye Robot! Heather and Jeff are back with the first part of their STLV50 vendor room series featuring Skyboat Media and Make It Sew! You heard right! Larry Nemecek makes an appearance on the 5th installment of Shore Leave to talk Portal 47, STLV50 and share some rare convention memories! Later in the show, Heather and Jeff answer more listener questions. Heather and Jeff are joined by Andy Fark and Mike Rittenhouse of Five Year Mission, Brian Nac and Adam Drosin to talk 5YM news, STLV50, answer listener questions and more! Stay tuned at the end for our fourth installment of "First Khans" where Andy, Mike and Brian remember their first STLV conventions. Hosts Heather and Jeff are joined by Claire Little, co-host of the Atavachron podcast, Jim Moorhouse and Dan Davidson from TrekGeeks to talk new STLV50 guests, more about the early sell-out and the third edition of our First Khans segment. Episode 2 of our newest series, "Shore Leave", is here! On this episode we are joined by Bill Smith, Adam Drosin and Ian Adams to talk breaking Star Trek Las Vegas con news and our second "First Khans" segment. Jeff and Heather jump on the Priority One podcast to talk about their show, the upcoming STLV convention, the con-going community, and more! 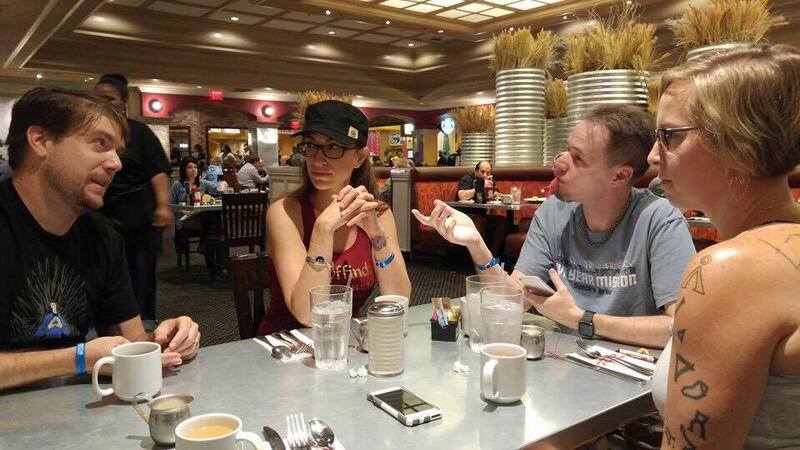 Jeff & Heather join The Admiral&apos;s Table to talk about Shore Leave, STLV and Star Trek Discovery! Jeff & Heather join hosts Bill and Dan to talk about the Shore Leave podcast and lots more!